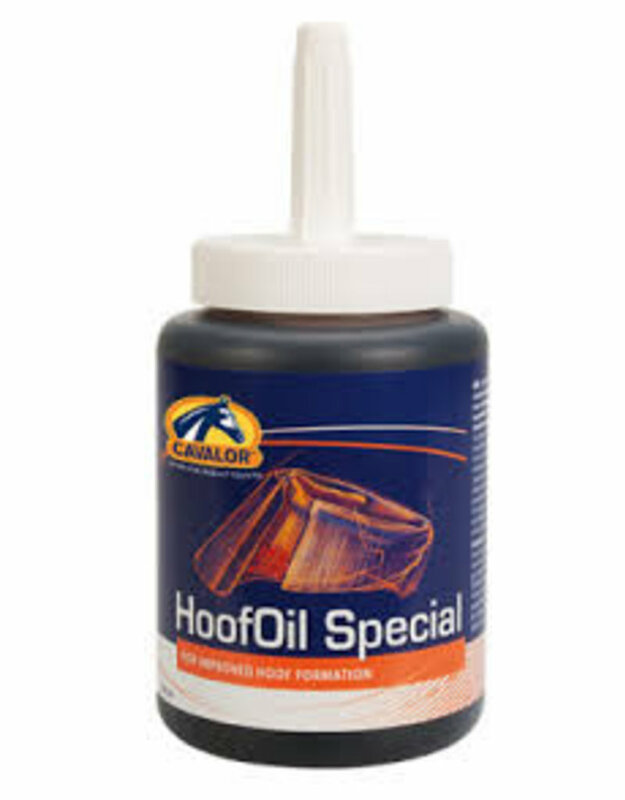 HoofOil Special by Cavalor combines two essential oils that work together to improve the quality and condition of horse hooves. Cavalor HoofOil inhibits the growth and development of bacteria, whilst simultaneously offering deep nourishment,for the optimal care of your horse's hooves. Cavalor HoofOil also helps support and maintain the moisture balance in the hoof, which helps boost the recovery of cracked hooves. 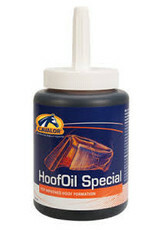 Apply Cavalor HoofOil to the outside of clean hooves, using a brush. Repeat this several times a week. Please note: For external use only.